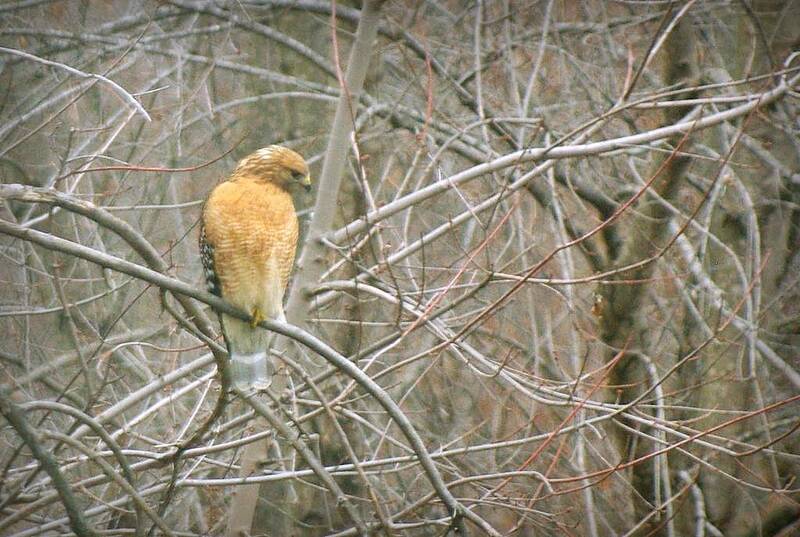 A hawk had landed first in my silver maple tree, then quickly moved to my neighbor's where it spent the next 15 minutes or so scoping out my veggie garden and surrounding ground. Yesterday I took my nephew to the Jefferson National Expansion Memorial here in St. Louis, home of the Gateway Arch, or as it's more commonly called, "The Arch". It has been a few years since I've done this, so was looking forward to having a look around. The 4-minute ride up in the small, rotating tram cars is no thrill ride but part of the experience, and at 630 ft. (192m) tall you get a great view from the top. 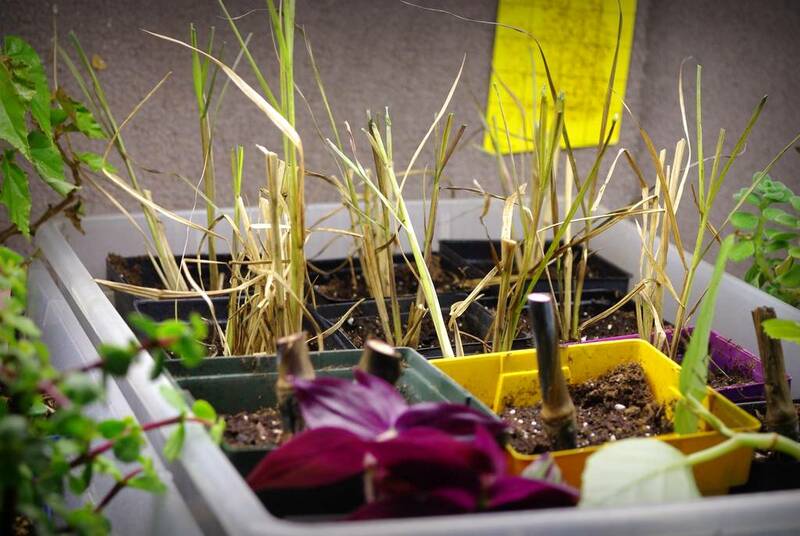 Some of the plants that are overwintering under the grow lights indoors have pest problems every year. 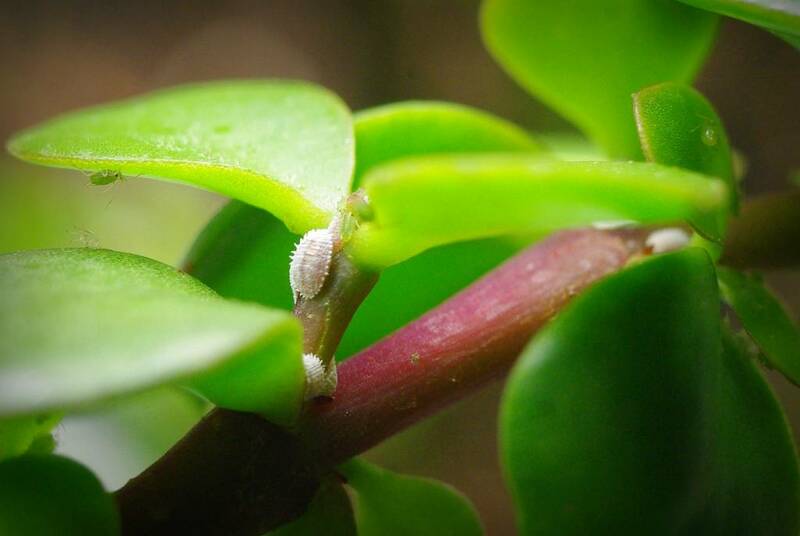 Whiteflies, aphids, mites, scale, mealy bugs, and fungus gnats are the culprits, and the first outbreak is happening now: mealys and aphids. 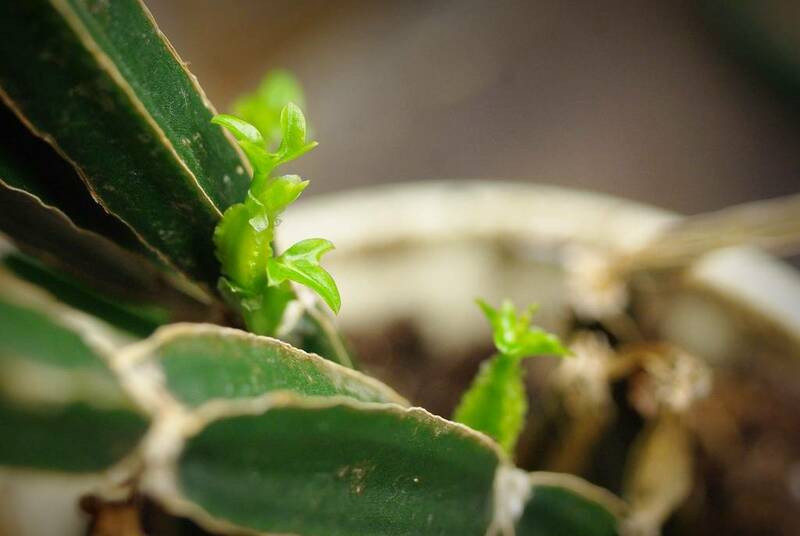 I've got two small elephant bush (Portulacaria afra) plants under the lights, and their succulent leaves and stems are apparently the choicest greenery on my table right now. 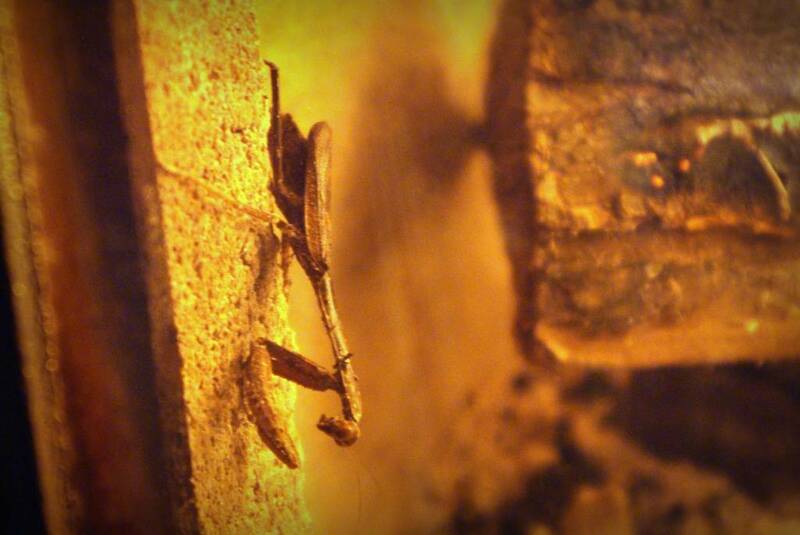 ...so I took a closer look. Frost! Lots of frost in really interesting patterns on top of the almost-clear ice. Although I don't typically like to do it when it's this cold, I just had to bring the camera outside and get down on the ground. Well, I won't be having a blue Christmas, but my pond will. You see, although there is apparently some debate about the effects of adding beneficial bacteria to garden ponds, I do it. 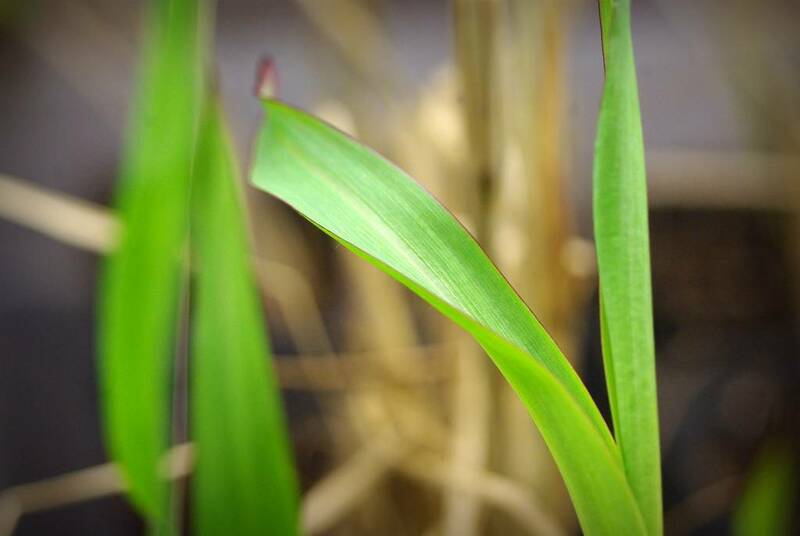 I'm especially diligent in the winter, when leaves and other excess organic matter can turn the pond water chemistry inhospitable or even toxic for the fish. 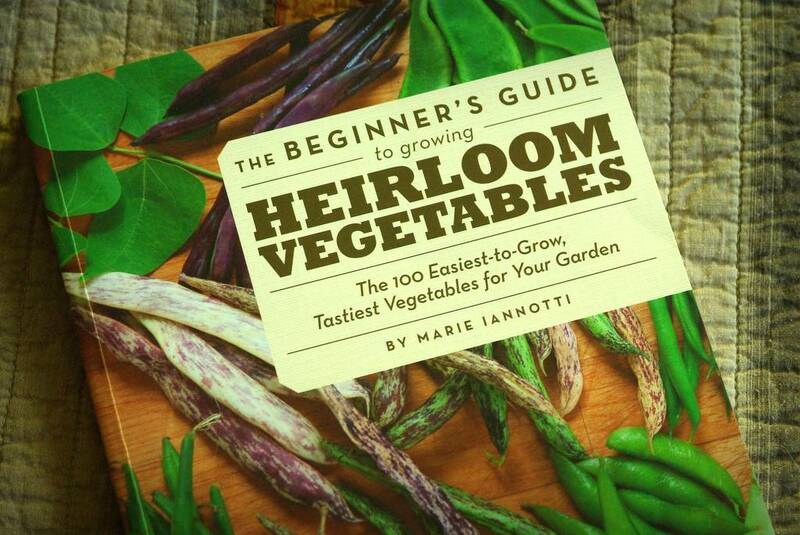 Or more accurately, "What will be new in your garden next year?" 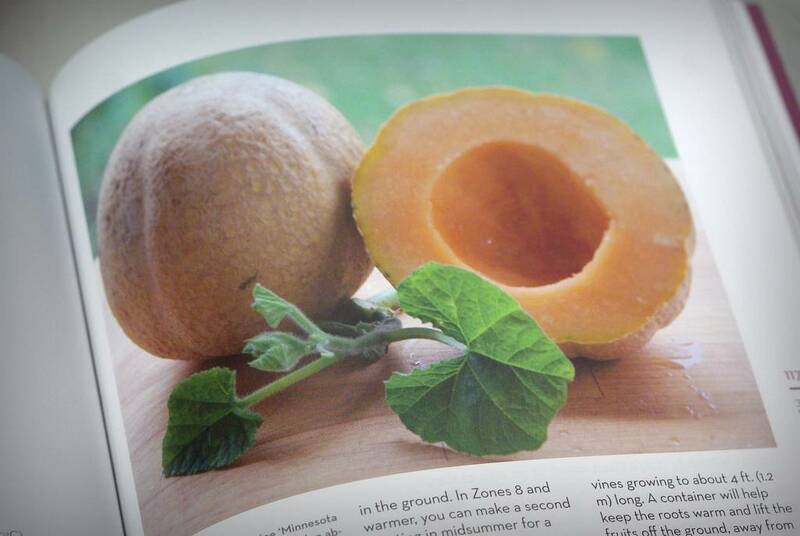 For me the holidays mean it's time to put some seed catalogs to work and to pick out something new to grow. 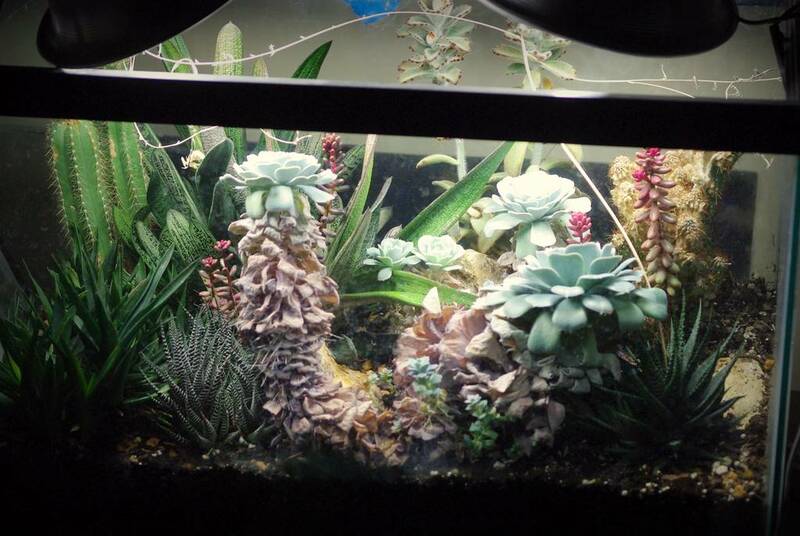 It's been quite a long time since I converted my terrarium to succulents -- almost three years -- and almost a year since I've even shown you what's going on there (when I replaced one of the plants). It's time for an update, as I'm planning on doing some work on this little basement garden over the holidays, and having a good record of "before" is necessary. One last book review for you last-minute holiday shoppers, this time on a subject that is a favorite of mine: bamboo. I own a few books on bamboo, and although they have their merits this one is probably my favorite. 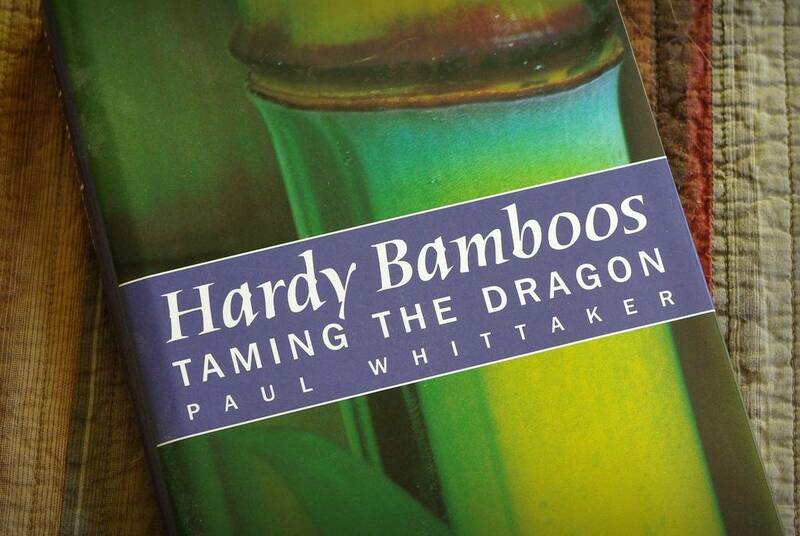 It's Hardy Bamboos: Taming the Dragon by Paul Whittaker. So what makes this bamboo book the one I pick up most often? 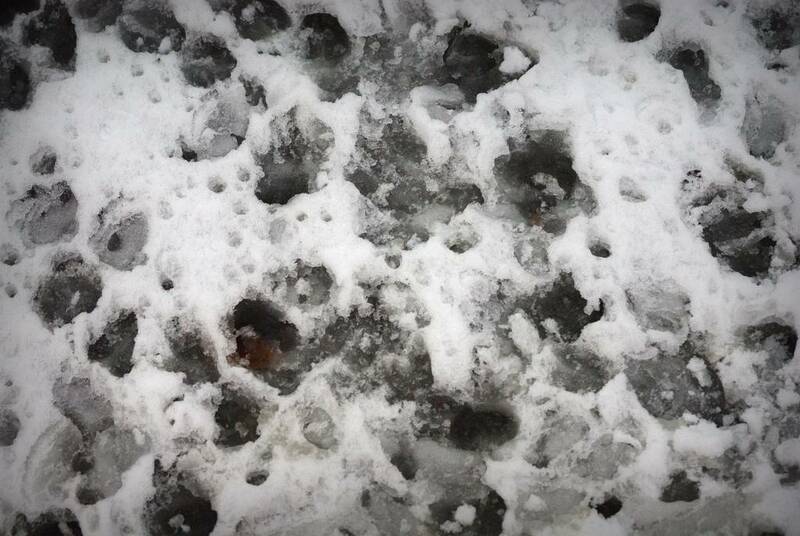 One of my favorite things about having snow on the ground is being able to see the tracks of whatever creatures visit. When I first moved here about 20 years ago, seeing deer tracks in the snow was exciting. Deer sightings were a rare event. 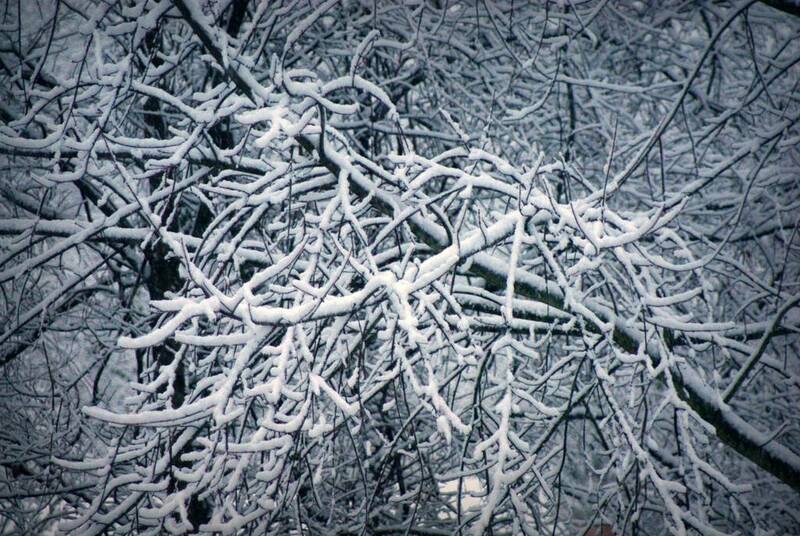 Now they're so common, I'm surprised when I don't see deer tracks the morning after a snowfall. That's not a problem right now -- the frozen pond right now is simply covered by their tracks! It's been a week since I potted the divisions of Pennisetum 'Vertigo' and Pennisetum setaceum 'Rubrum' (purple fountain grass) and put them under the lights of my growing table. You may remember that I said that this year I took a compromise approach to overwintering these: I didn't take the divisions immediately (in late November for instance), but I didn't wait months (until early February like I did last year). Taking the divisions too early leaves me with plants that are just crammed into their pots and dying to get outside by spring, while taking them too late left me with dead divisions. This year things are looking good though. The snow certainly is pretty, but the 4" (10cm) or so we received Friday night is heavy! 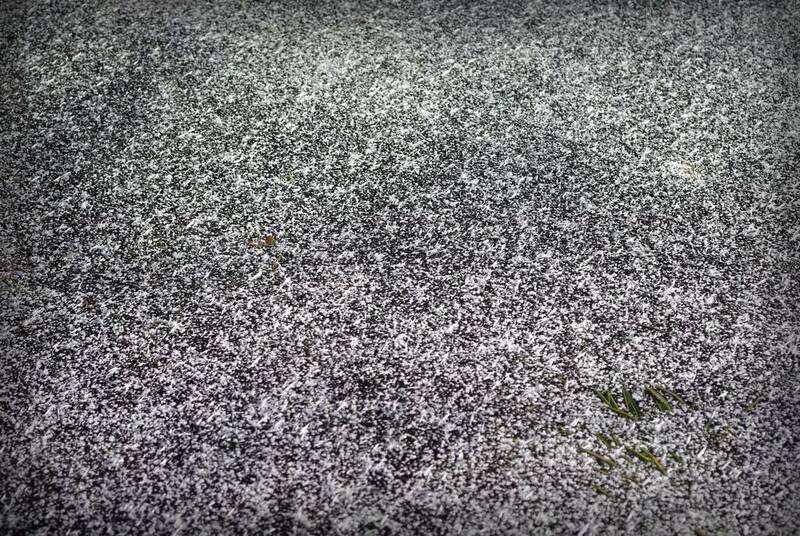 It started as rain then turned to snow as the temperature dropped. 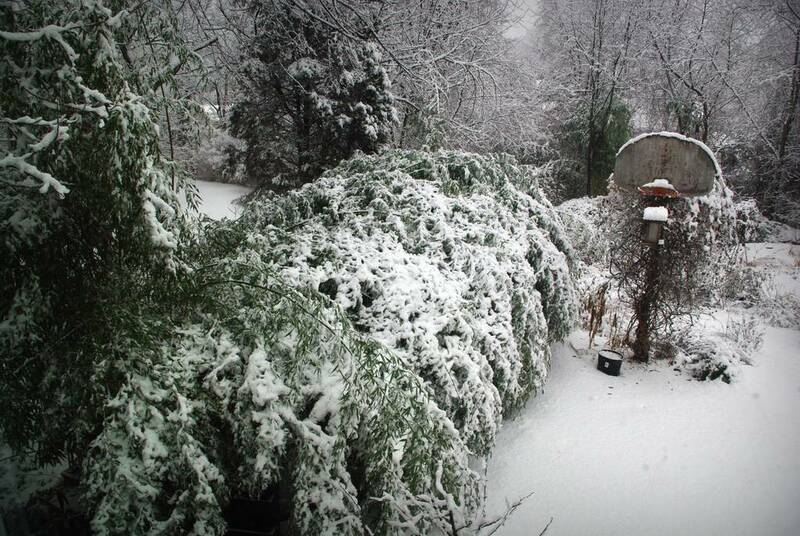 Great for snowmen and forts, but not so nice for shoveling or if you're a bamboo. I didn't put much effort into decorating the outside of the house for the holidays this year. Most years I hang some lights, mainly because I prefer the gentle, even light they provide as opposed to the single source of the harsh front porch light. I could blame the early cold weather this year as hanging lights in bitter temperatures isn't fun, but we had very mild weather before the current cold snap, so that's no excuse. I have to admit that the water barrel in the walkway garden played a role in this decision, as the birdbath heater is occupying the extension cord that usually powers the decorative lights. So it really was several factors that contributed to the decision to have no lights this year. 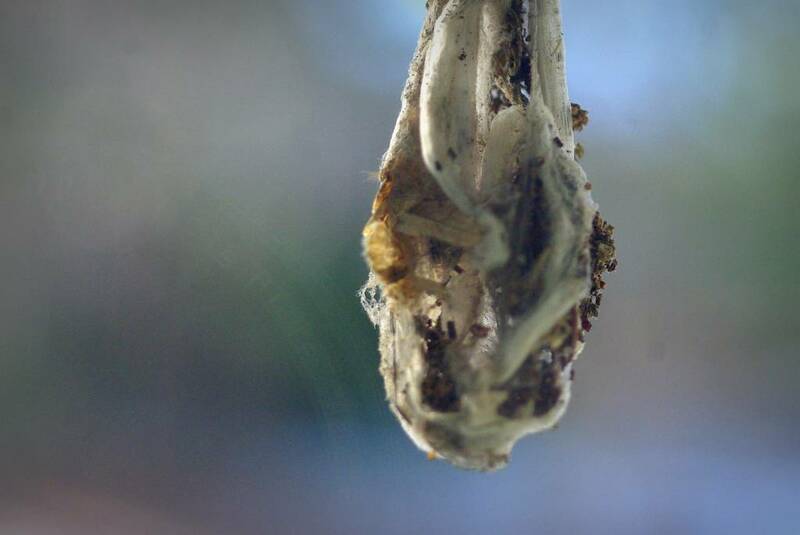 We do have an ornament of sorts though, provided by the creatures of my garden. Continuing with my holiday season book reviews, today I'm looking at a book that I got a couple of years ago, and has helped fuel my branching into the sometimes spiky and spiny world of growing succulents: Hardy Succulents by Gwen Moore Kelaidis. 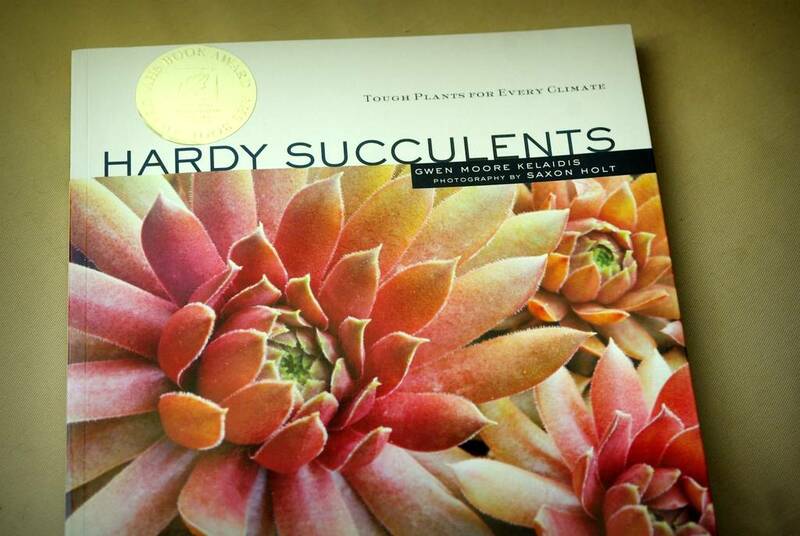 I have always grown some succulents, mainly sedum and the common-for-good-reason yucca, but only after I started conversing with other gardeners and read this book did I really start expanding into other areas of succulent growing -- and you'll soon see why. 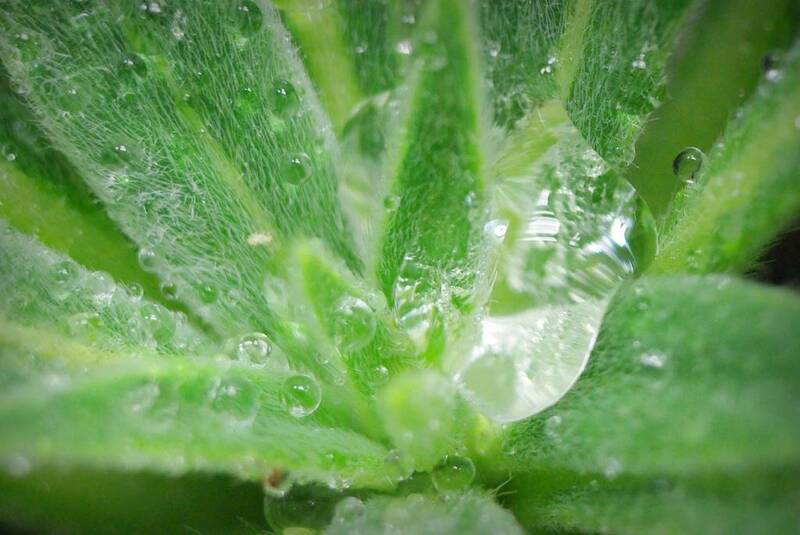 In other words, sometimes plants surprise you and die, and other times they surprise you by living. I've got examples of both on my indoor growing table right now. 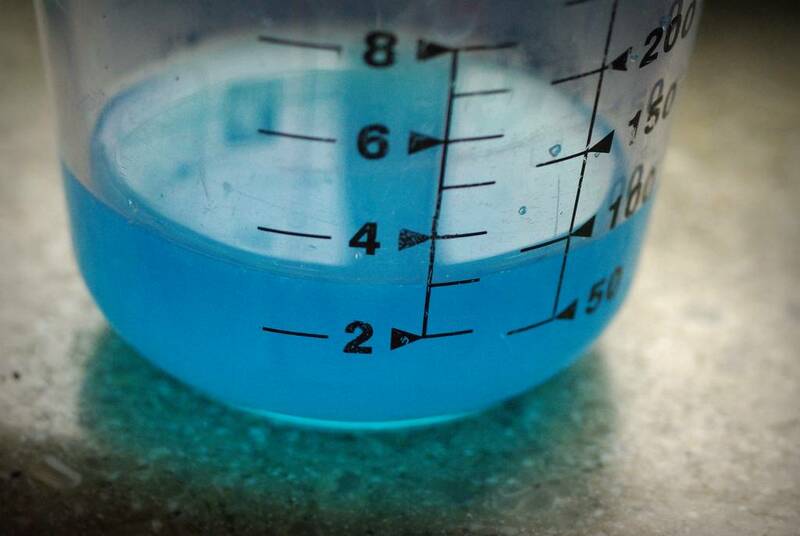 Although I want to start by talking for a minute about one of the failures, the photo was too ugly to use to start this post -- so you get a little sneak peek at the success. Awoke this morning expecting it to be cold, and was not disappointed. 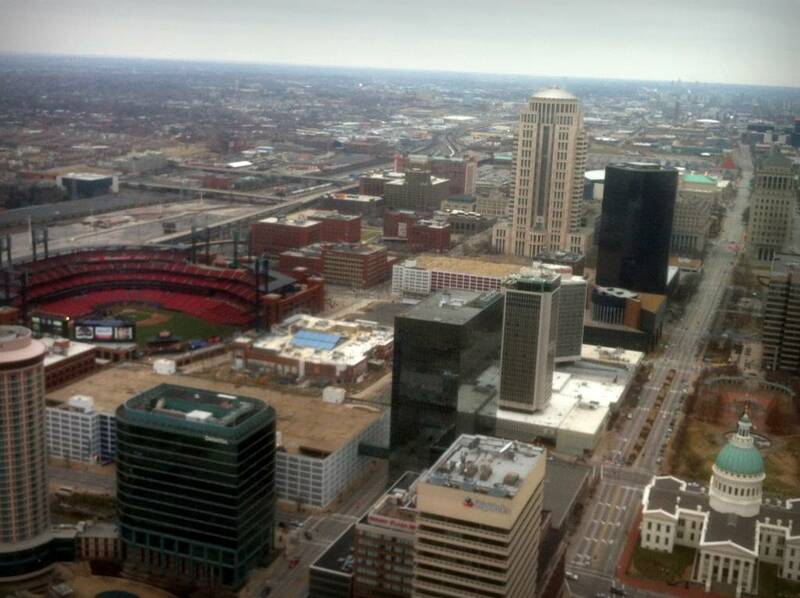 About 10ºF (-12ºC), which makes it the coldest morning of the winter so far. 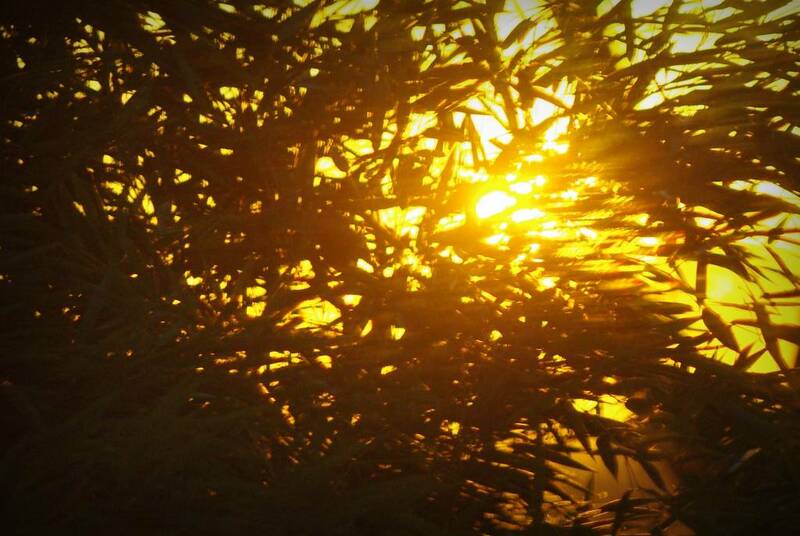 A couple of years ago I'd be really worried about my bamboos, wondering what sort of damage they were taking. Now though, due to either the increased maturity of the groves or myself as a gardener, I can just appreciate the beauty of the crisp arctic air -- especially since it's not moving right now. With many of us dealing with temperatures well below normal right now, a little contrast might be helpful. Our mild weather (it was 60ºF when I took these photos yesterday morning) will be swept to the south, replaced by frigid air and ice, sleet, or snow -- or probably a mix of all of them. 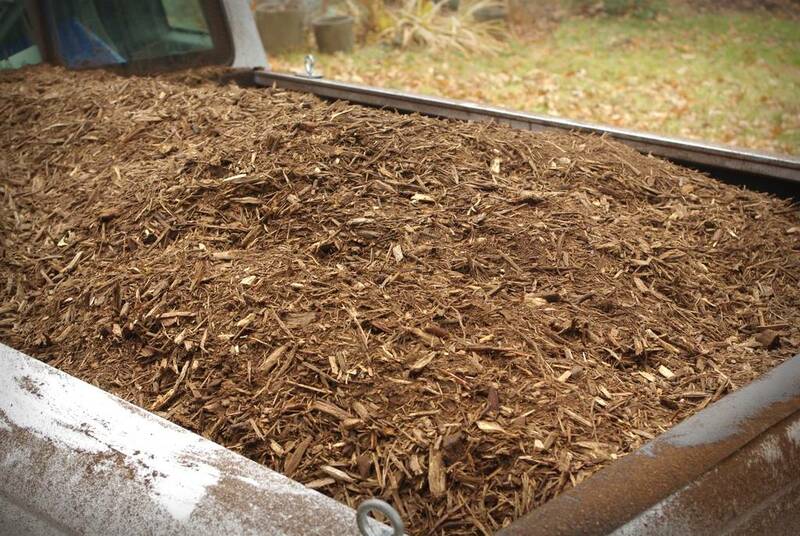 Temperatures are expected to hit single digits F on a couple of nights, which means it's time to mulch. I've got a lot of potted bamboos that need some protection to keep their roots, rhizomes, and rhizome buds from damage, and burying the pots in mulch is the easiest method I've found. Time is limited so easy is good, but in previous years I've dug a hole before burying them, laid the plants down and tarped over them, and built a greenhouse. This year it's just mulch. Today's book is different than the rest in that it's a reference, field guide, and has been around for quite a while. 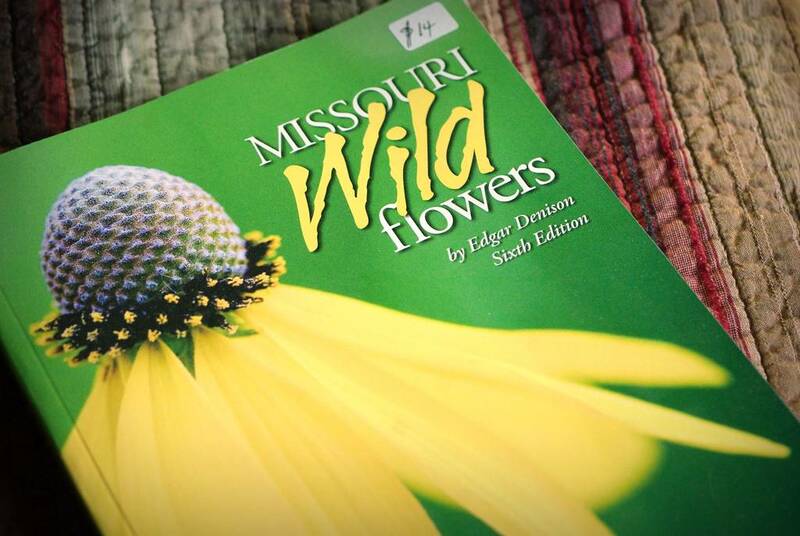 It's Missouri Wildflowers by Edgar Denison. Please don't think "I don't live in Missouri" and stop reading, or think that this book wouldn't be helpful to you. 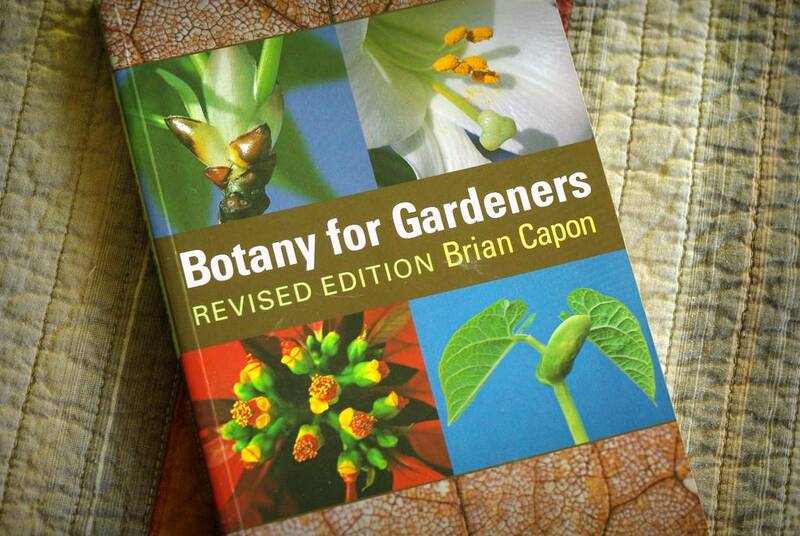 Besides containing information on dozens of plants that are found in many parts of this country, this book is a model of what a great reference book should be. 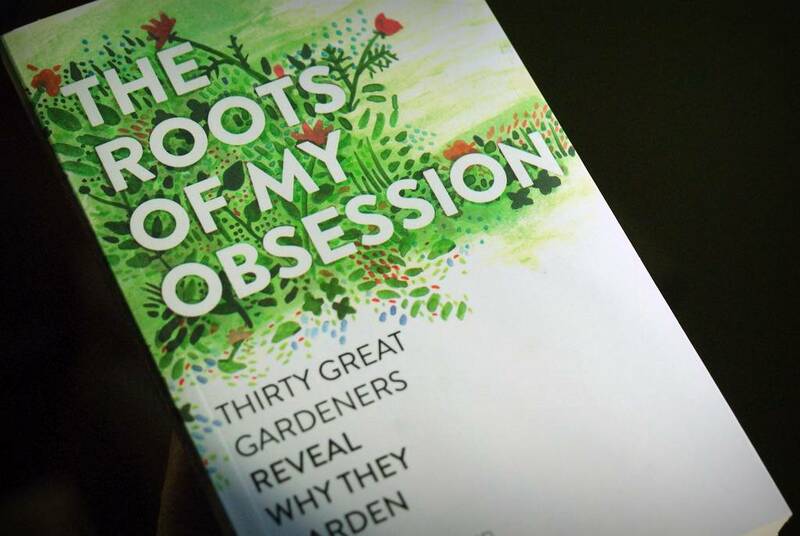 Continuing my book reviews, I turn from one single man's year-long view of a tiny piece of a single "garden" to a book that involves 30 gardeners and at least that many gardens. The first book I reviewed was historical with little to no narrative or personal touch, the second book was personal but focused on observation, but this book is all personal. The Roots of My Obsession (Timber Press) is the subject of today's review. Yesterday I started my small series of book reviews with a history of the Garden Club of America, a book I concluded would be best appreciated by those who either loved history or the GCA -- but it probably wasn't for everyone. Today's book is at the opposite end of the spectrum, as it's poetic, educational, digestible, and completely entertaining. 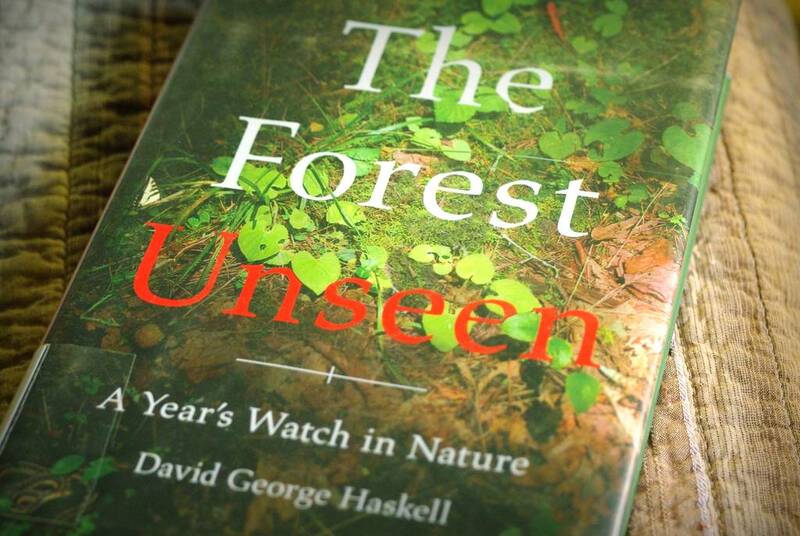 It's The Forest Unseen by David George Haskell, and it's a beauty.